Do you think of nuts as a handy and energizing pick-me-up or post-workout snack? If so, you couldn’t have been more oblivious to their versatility. Nuts are a nutrient dense food, brimming with protein, fiber, iron, unsaturated fats, vitamins, and minerals. 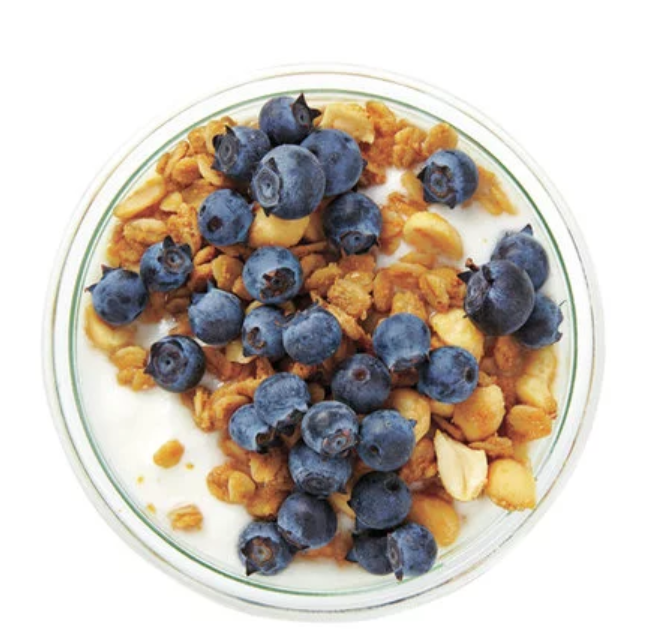 These heart-healthy substances can keep you feeling full and jumpstart your metabolism. Some studies go so far as to suggest that ample consumption of nuts can improve your heart health, lower cholesterol levels, diminish the risk of hypertension and diabetes, and alleviate inflammation. Nuts are a nifty cooking ingredient that can add an earthy flavor and a delightful crunch texture, and enhance the nutritional value of any meal. After all, for centuries they have been pulverized with water to produce milk-like beverages, pressed for fragrant cooking oils, ground into nutritious flours, processed into mouth-watering butter-like pastes, or simply munched on in all their raw hearty goodness. In addition, ground nuts can be used as a healthy coating, turned into scrumptious sauces, or used as a base in cheese cakes and mouth-watering desserts. Be it walnuts, pistachios, pine nuts, pecans, macadamia nuts, lichee nuts, hickory nuts, hazelnuts, ginko nuts, peanuts, chestnuts, cashews, Brazil nuts, or almonds, we can’t seem to list enough recipes that let us delve in nuts on highly fascinating levels! 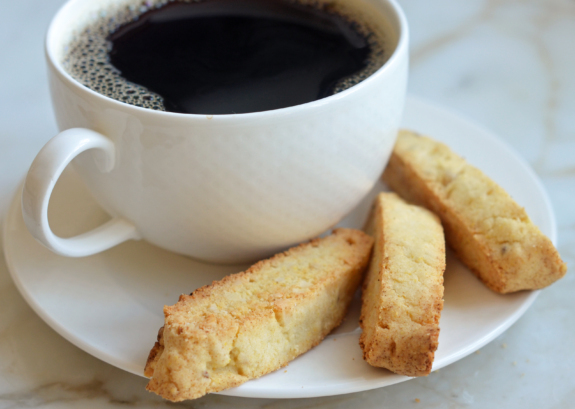 Try these delicious, buttery, slightly sweet and crunchy cookies with your morning coffee, parfaits, pudding, or fruit salad. Mix cornmeal, cream, butter, baking powder, sugar, eggs, and chopped almonds together to form a dough. Shape the dough into logs and bake it until a firm texture is achieved, slice it and bake it again. Enjoy these easy, crispy and flavorful almond biscottis with almost any dessert or on their own. This potassium rich nutty snack is easy to prepare and a healthier choice to satiate your nut cravings. 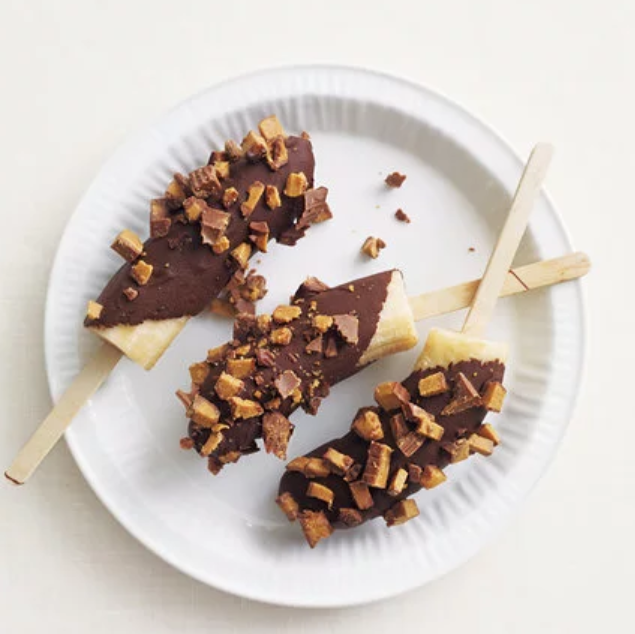 Simply slice bananas in half, insert a wooden Popsicle stick through each, coat generously in melted chocolate, sprinkle with chopped peanut butter cups and keep in the freezer until set. A nutrient rich dessert that is a perfect mélange of shredded carrots, chopped apricots and almonds. To prepare this dessert, you need basmati rice, finely shredded carrots, milk, grated orange zest and lime zest, cinnamon, egg, chopped dried apricots and almonds. This flavorful almond pudding is a great source of calcium, beta carotene, vitamin B12 and fiber that you can easily prepare at home and turn any meal into a celebration that makes you say hallelujah. 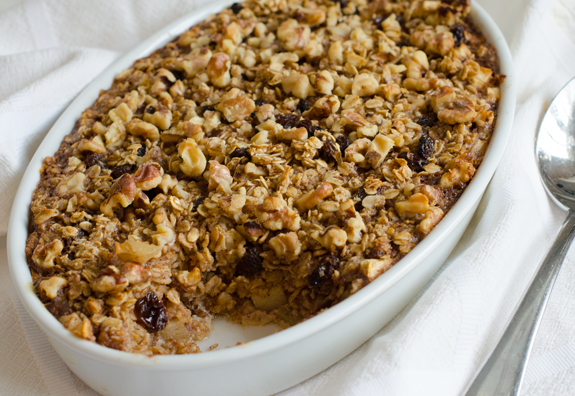 Baked oatmeal has a consistency similar to that of bread pudding. It is a delicious and toothsome mélange of oats, plump raisins, tart apples, and crunchy walnuts. Prepare the custard by whisking together milk, eggs and vanilla, and stir in the oat mixture, melted butter and custard. Toss in chopped apples and raisins to the oat mixture and sprinkle walnuts over the top. Bake till done, and enjoy this extremely delicious dessert piping hot for breakfast or anytime the sweet tooth kicks in. These rich, nutty brownies are easy to make and hard to resist. You can prepare delicious fudgy brownies with pecans, prune butter, flour, baking powder, cornstarch, brown sugar, egg whites, dried cherries, chocolate chips and olive oil. Top with vanilla ice-cream and drizzle over with a rich fudge sauce for an opulent dessert on a Saturday night! Try this scrumptious and low-fat chestnut recipe studded with savory turkey sausage, tart apples, and sherry-soaked prunes. Nutmeg and clove lend an exotic touch of warming spices to the dessert. It tastes simply out-of-the-world. Try this tastier homemade version of your all-time favorite snack, which is easy to cook and is loaded with loads of nutrients. Toss oats and peanuts with maple syrup, peanut butter, canola, oil and a pinch of salt. You can whip in your favorite nuts or chia seeds to enhance the flavor and further enrich the texture. Serve it with berries and a dollop of yogurt for an added zing. 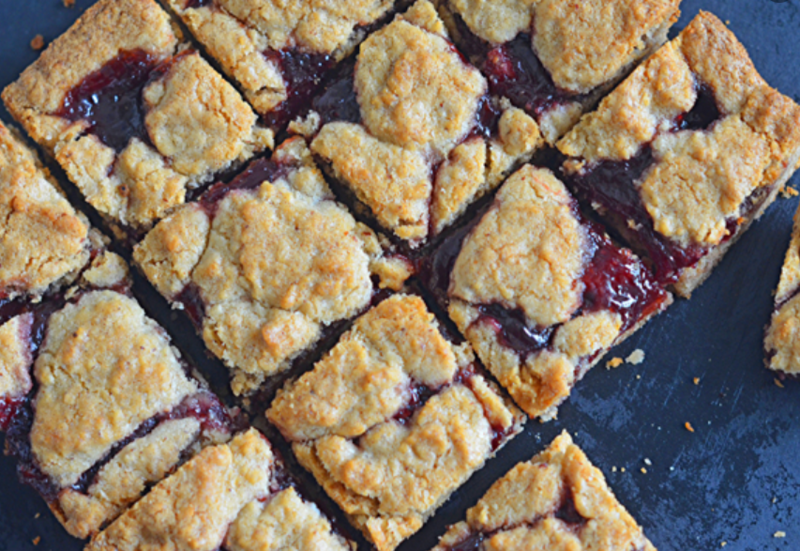 These sweet and tart bars are prepared with oats, coconut, pecans and raspberry jam. They incorporate a mind-blowing mélange of flavor and texture that promise an explosion of sensations on your tongue. You can delve in these healthy bars with your morning coffee or end your meals on a sweet note with this deliciously heartwarming pecans bars. Another amazing nut recipe that is crunchy, tart and sweet at the same time. 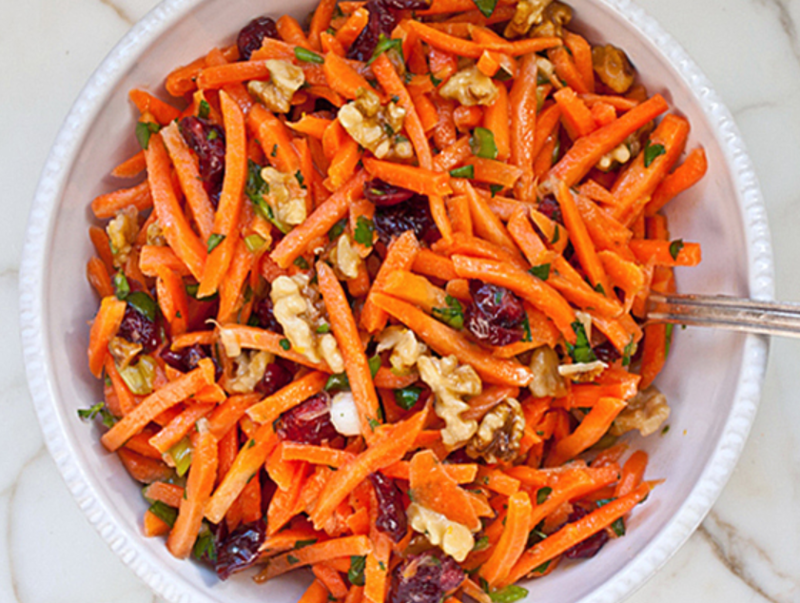 Toasted walnuts, scallions and dried tart cranberries make this carrot slaw unconditionally crave-worthy. It is a healthy snacking option, perfect for lunch or a delicious alternative to sandwiches or burgers whenever the hunger pangs kick in. You should give this delectable chicken recipe a try. 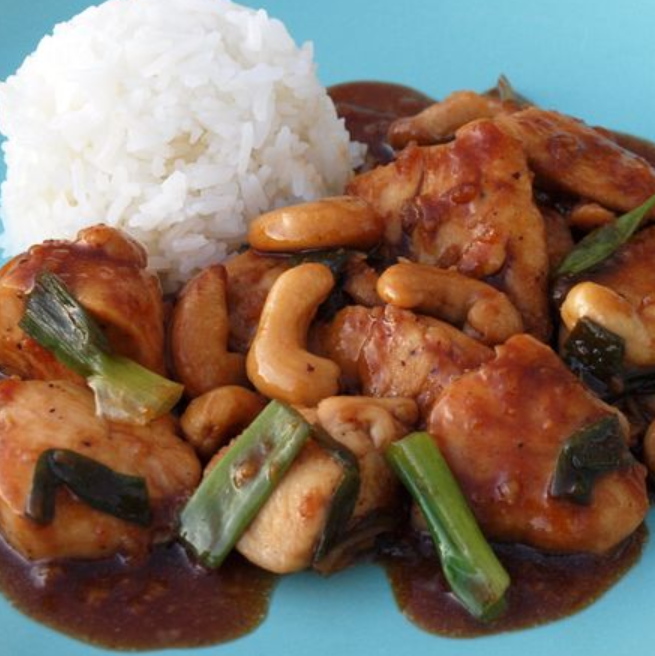 This savory and tender stir-fried chicken cooked with cashews that are roasted in an authentic brown garlic sauce, tastes ridiculously great. And it is easy to cook. Serve this delicacy with steamed broccoli or plain rice. If you are a true nut lover, you should definitely give these recipes a try or visit an Indian restaurant in St. Kitts to revel in your love affair with nuts with amazingly drool-worthy recipes such as shahjahani qorma, kheer, kaju katli and badaam ka halwa.